And here comes again that time of the year! 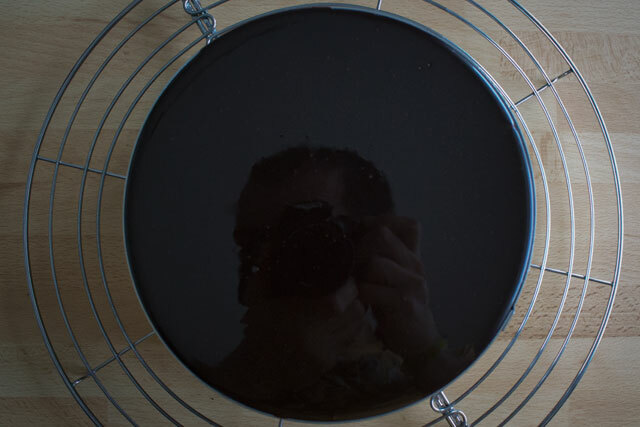 The time of crazy shopping, snow, colourful lights and decorations all around, without forgetting Mariah Carey’s song looping in the background. 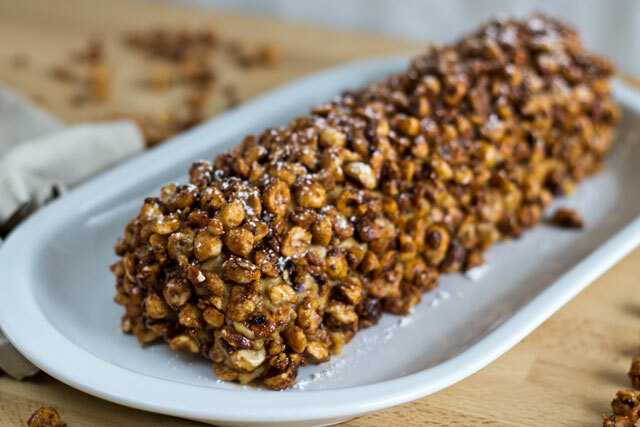 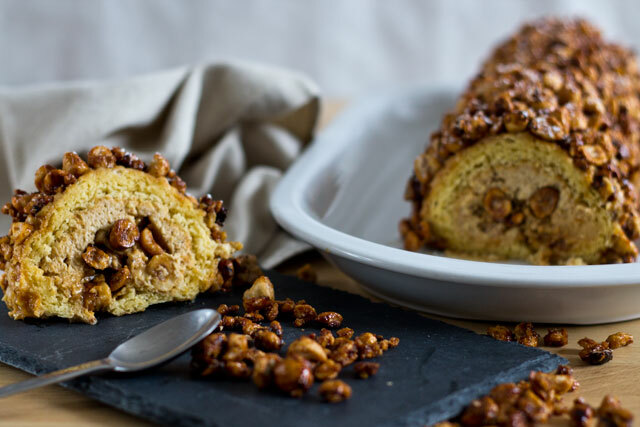 One of the most popular Christmas desserts in the world is the yule log, a long rolled cake usually filled with cream or jam: this year I was seduced by the recipe of World Champion Christophe Michalak. Here is my “Totally hazelnuts” Christmas yule log with praline mousseline cream! 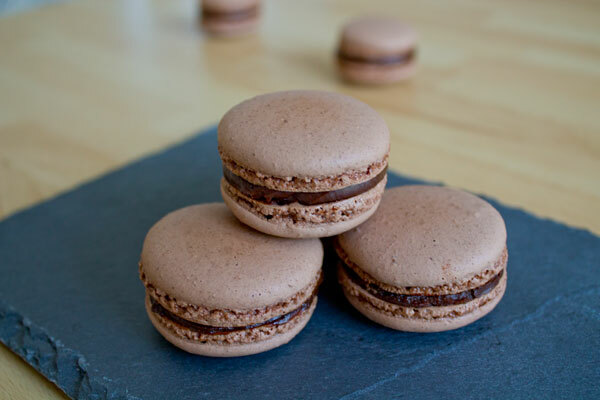 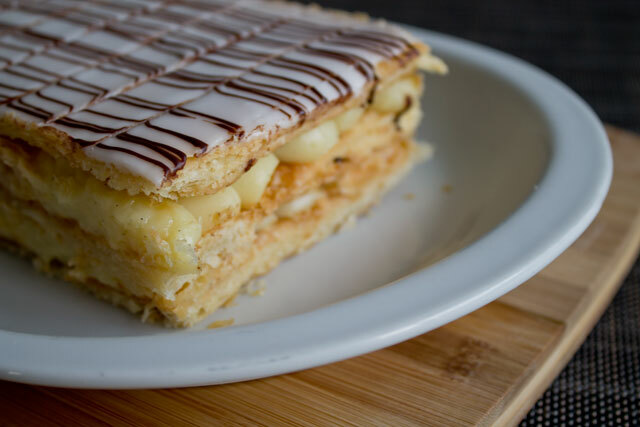 No need to say this recipe is excellent! 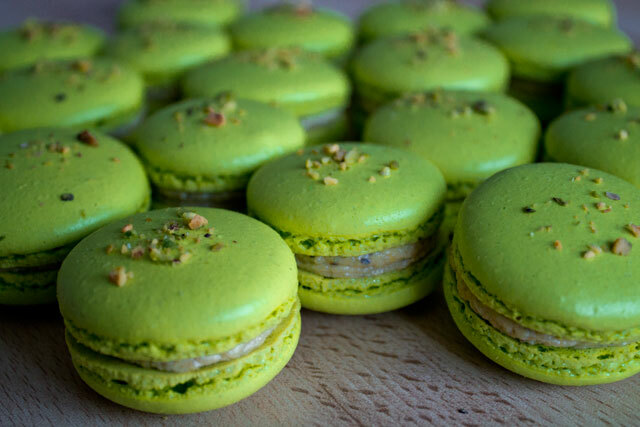 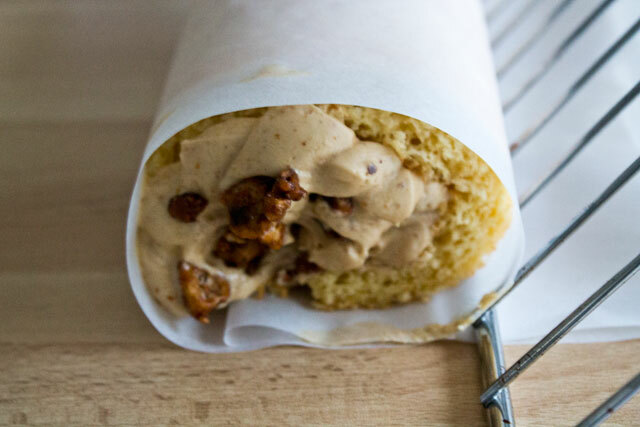 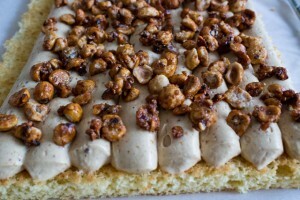 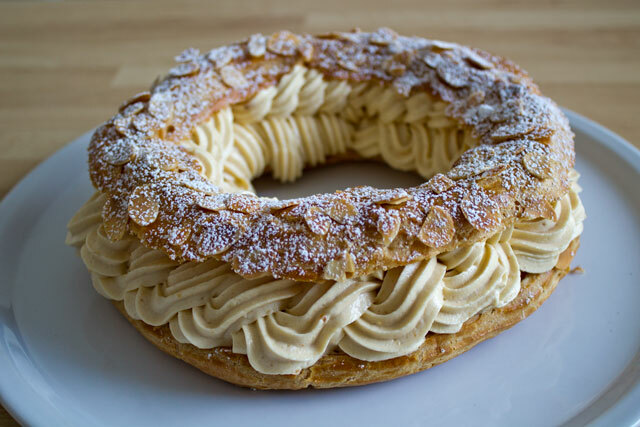 It has an insanely soft genoise that doesn’t even need to be moistened with syrup; a light praline mousseline cream (yep, the same type you can find in a Paris-Brest) and loooads of caramelised hazelnuts! 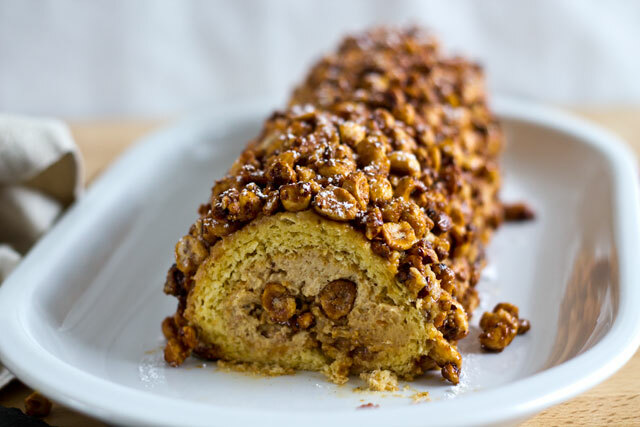 I really enjoyed making this yule log because I discovered a nice technique to roll a cake using an oven grill; moreover, covering it completely with hazelnuts is simple and fun (it might take some time though!). 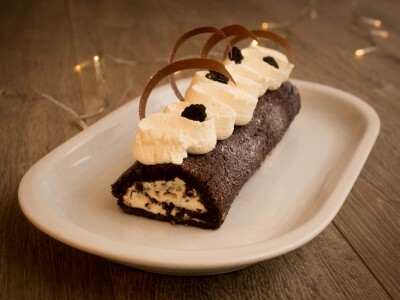 What do you think about this yule log? 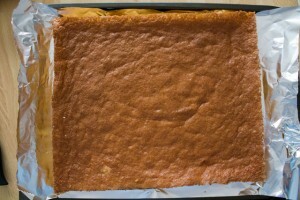 Better than last year’s one? 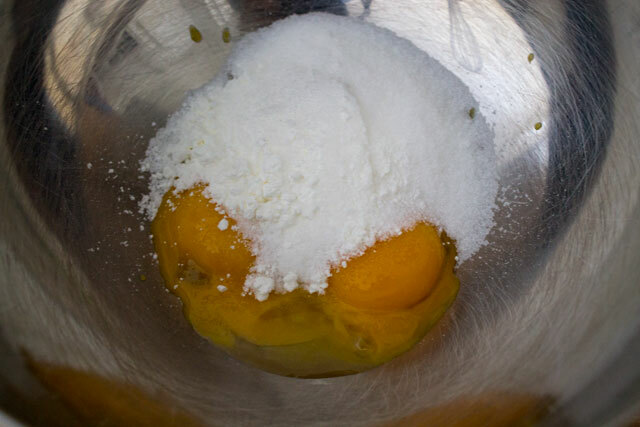 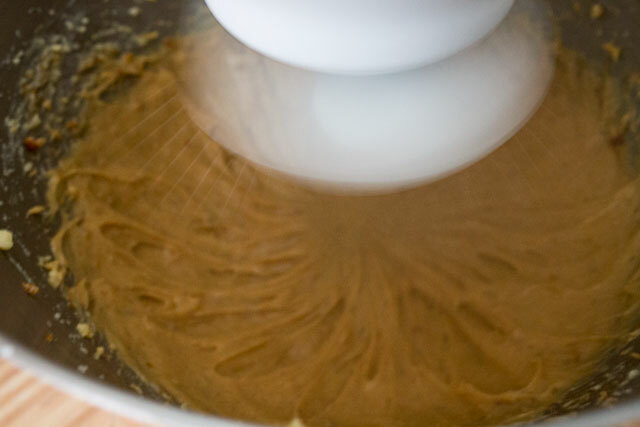 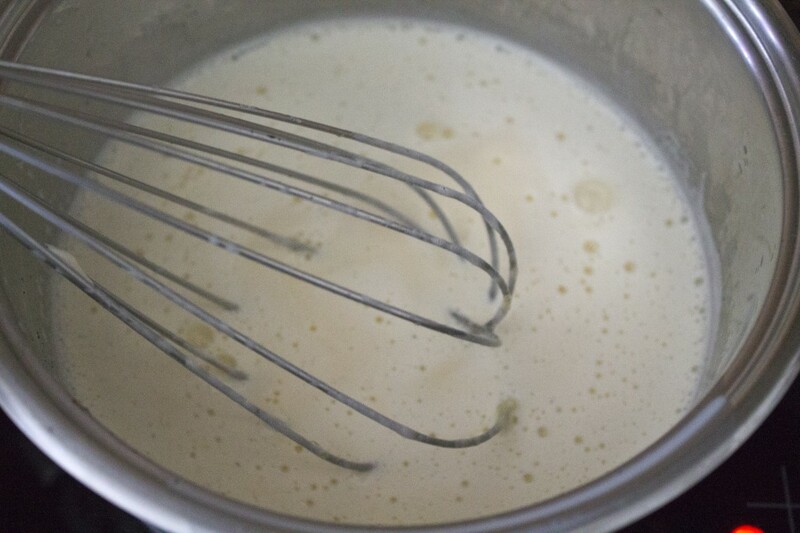 Sift in the flour and the baking powder together, then mix quickly but gently with a baloon whisk; finally incorporate the honey and oil too. 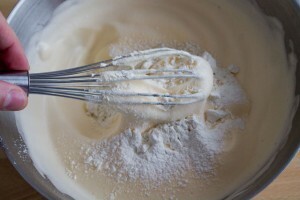 Always make sure not to deflate the batter too much. When the genoise has cooled down, remove the brown "skin": it should come away very easily by hand, but for hard spots you can also use a knife. 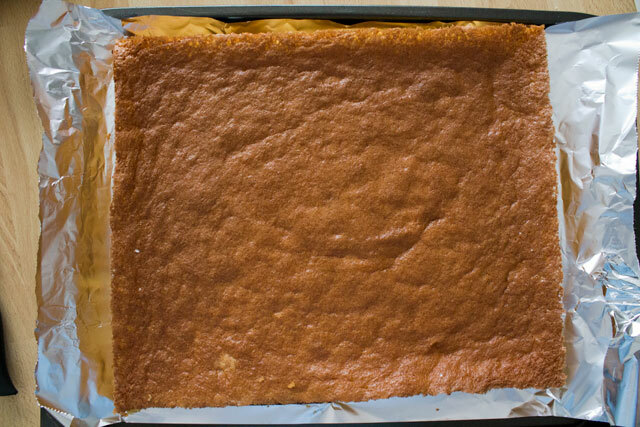 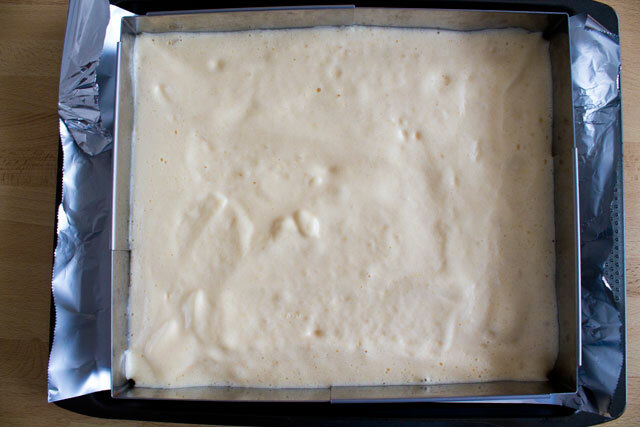 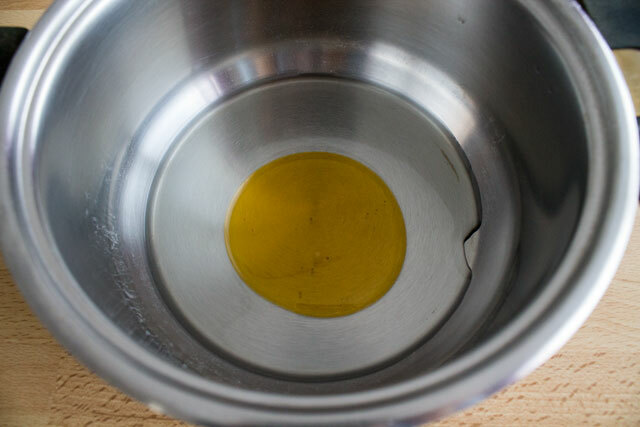 Invert the genoise on parchment paper and remove the aluminium foil (this will remove the skin on the other side too). 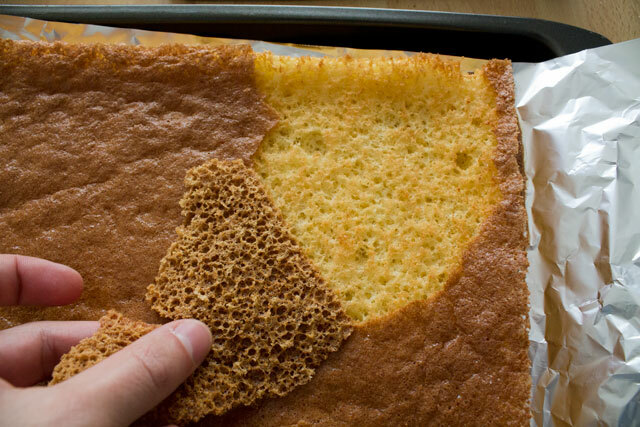 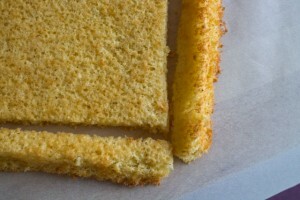 Finally flip the genoise again on parchment paper. 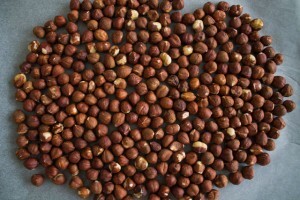 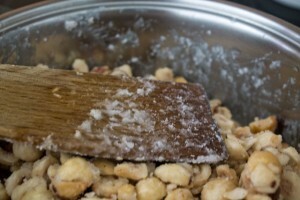 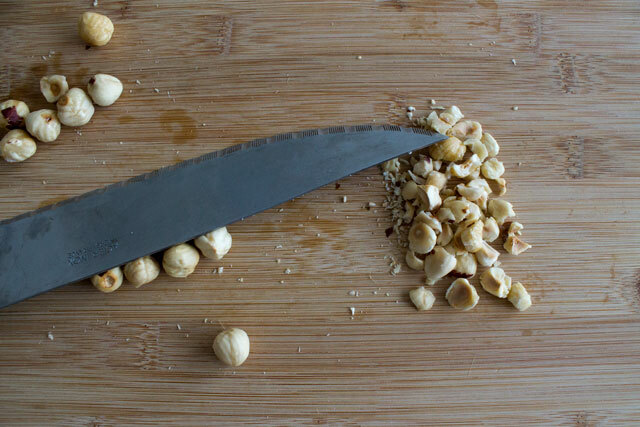 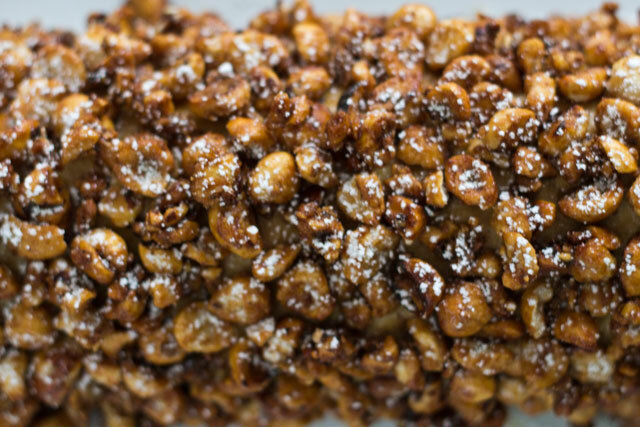 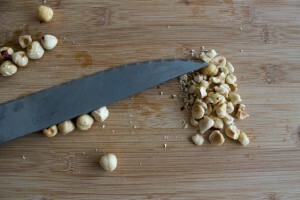 When the hazelnuts have cooled down, hold a large knife flat on top of a few of them and push with your other hand to coarsely chop them (Suggestion: keep the knife slightly facing yourself, it should not be parallel to the cutting board). 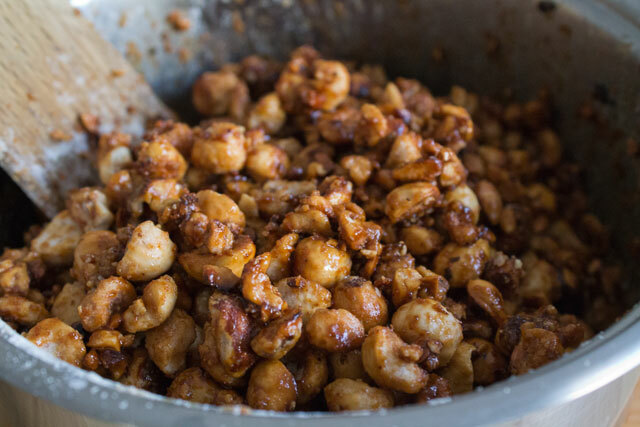 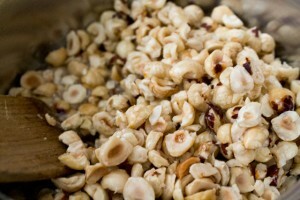 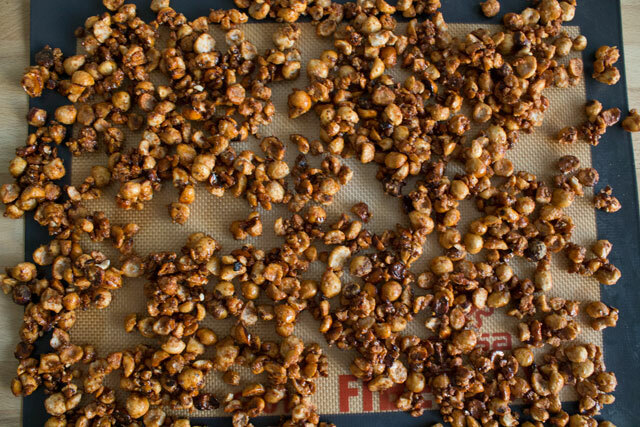 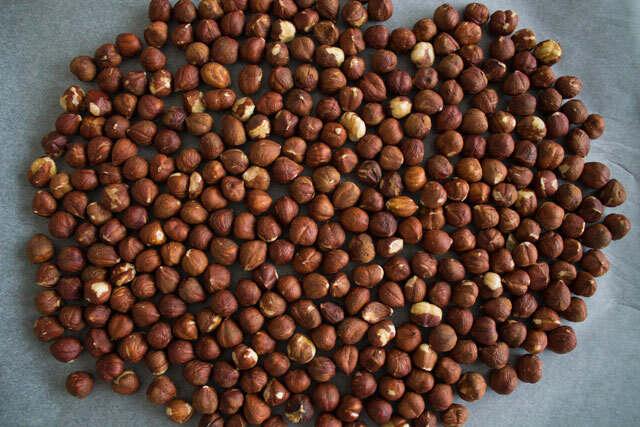 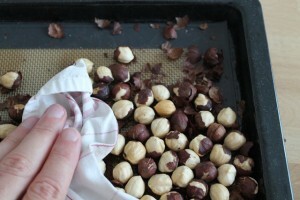 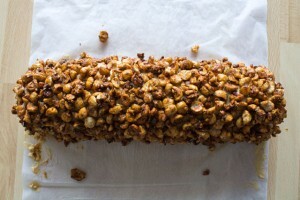 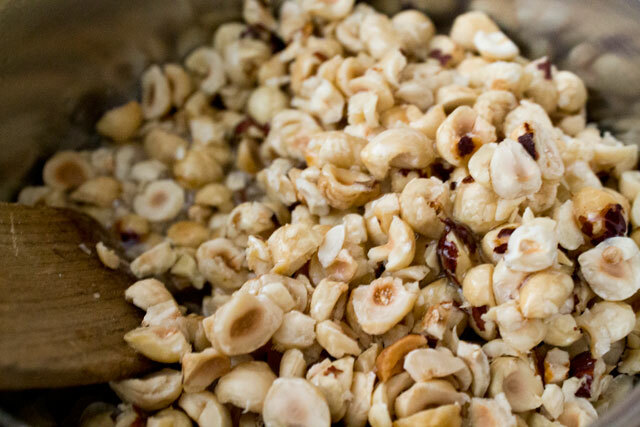 Repeat this procedure for all the hazelnuts. 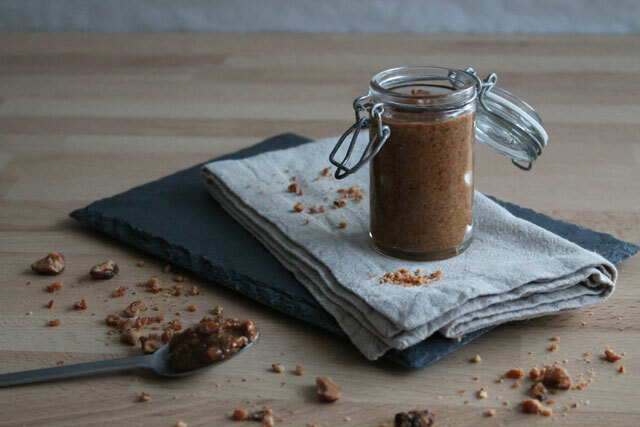 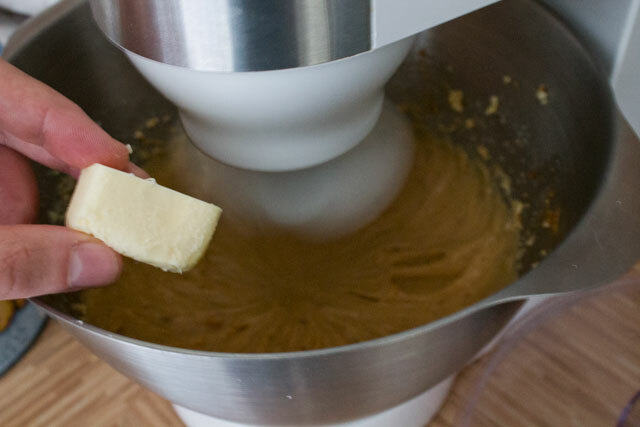 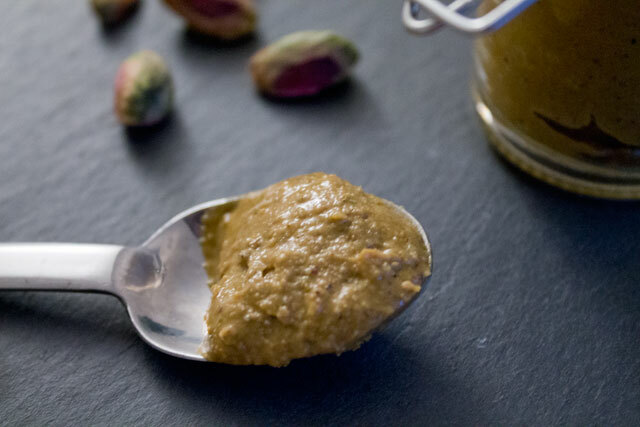 When the praline paste is well incorporated, add the room-temperature diced butter, one piece at a time. 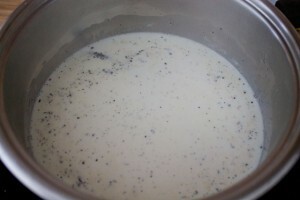 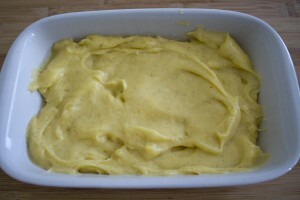 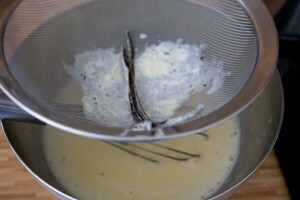 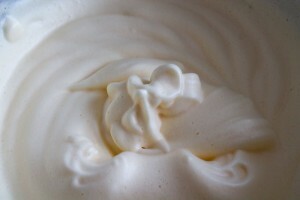 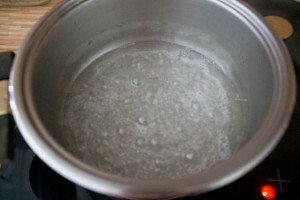 If lumps form in the cream, just keep whipping until the cream is smooth and airy. 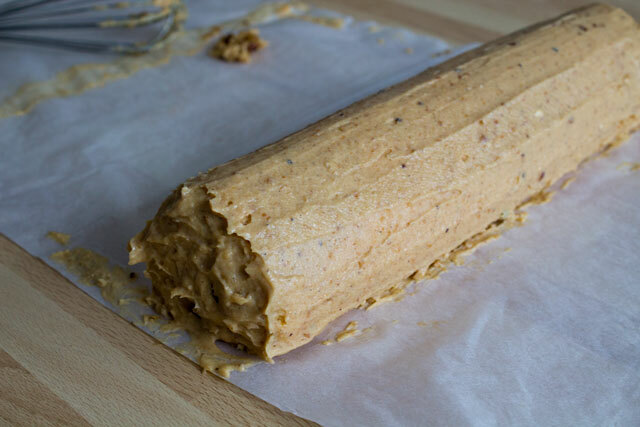 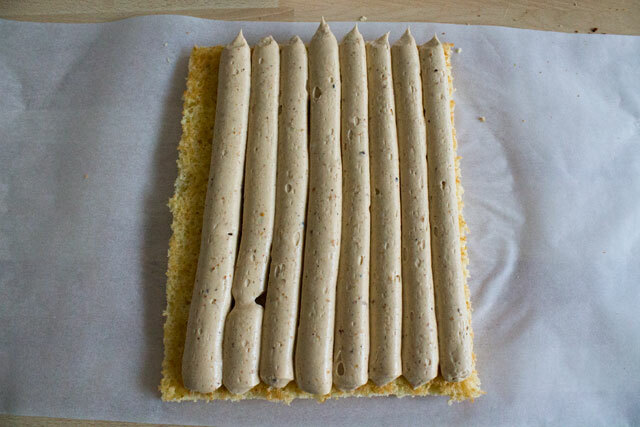 With the help of the excess parchment paper, roll the genoise so that the two long ends meet (this means: you don't have to touch the log with your hands). 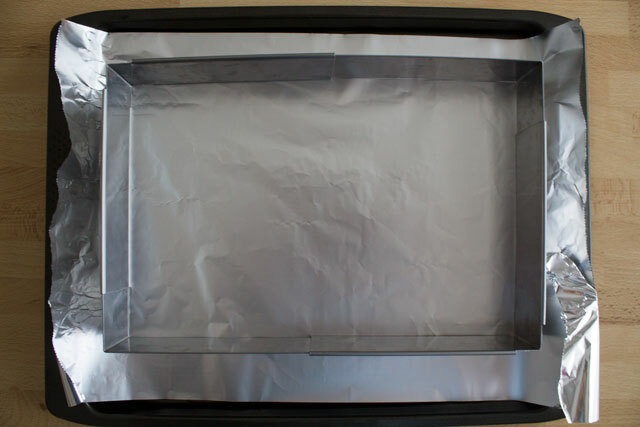 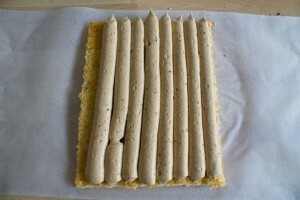 Finally place an oven grill (or a cutting board ) as shown in the picture, in order to form a parchment paper cylinder, resulting in a nicely-round yule log. 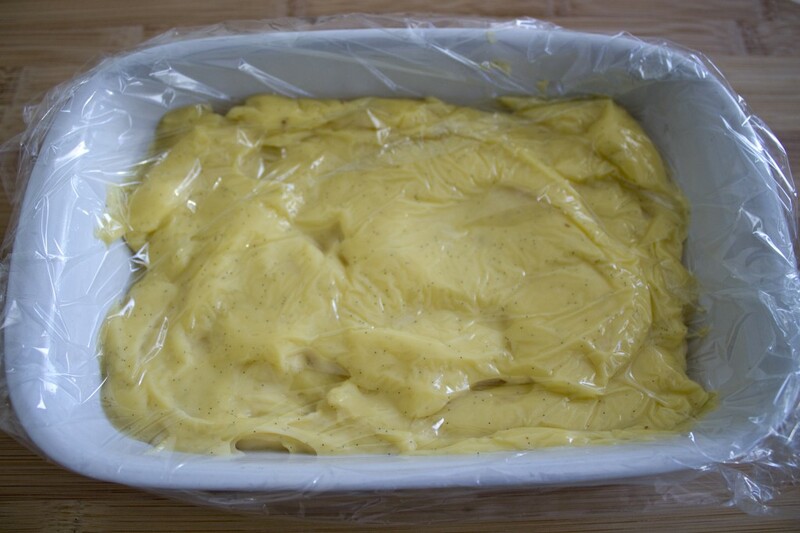 Refrigerate the yule log and the excess mousseline cream overnight. 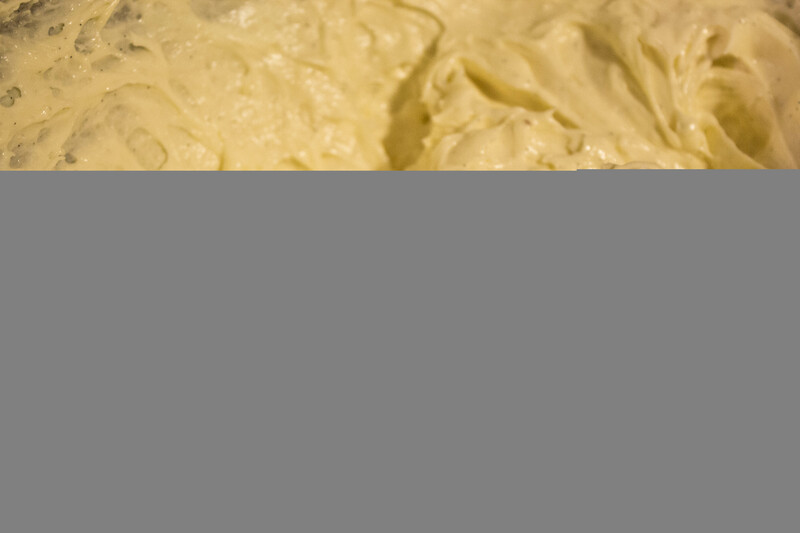 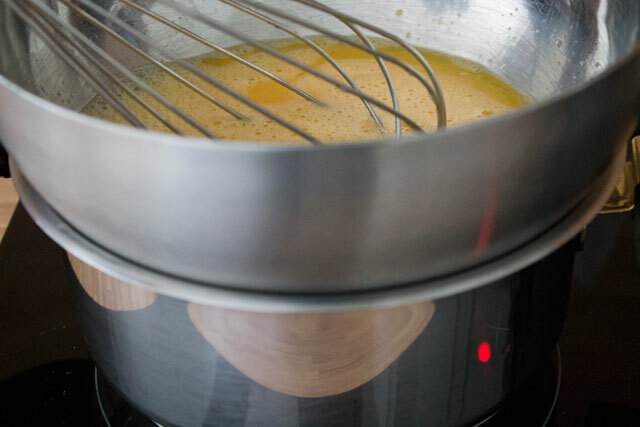 It is very important to remove the "skin" of the genoise before piping the cream, otherwise the skin will stick to the cream separating itself from the genoise, resulting in an undesirable look and texture.